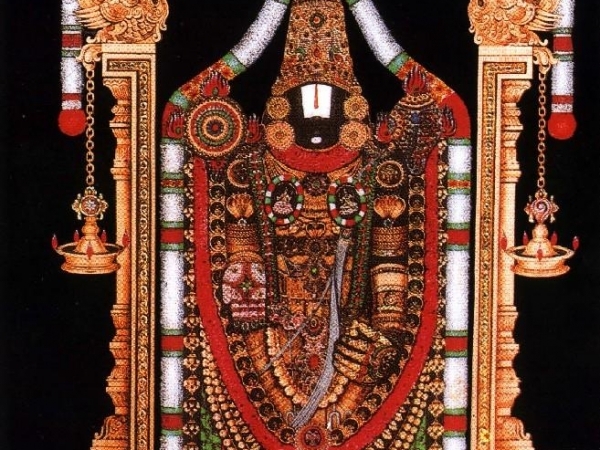 In Mysore every Saturday during the Hindu month of Shravana, July – August in Gregorian calendar, young boys wearing dhoti with a cotton bag hanging on their shoulders and a prominent naama / tilak on their forehead would stand outside the door and call out “Venkataramana Govinda Govinda” or “Sri Venkateshaya Mangalam”. We would run out and put a cup of rice in their bag and they would leave. Families having this custom would send their young boys to beg on Shravana Shanivara to minimum 2 houses and maximum 5 houses on all the Saturdays during the month of Shravana. 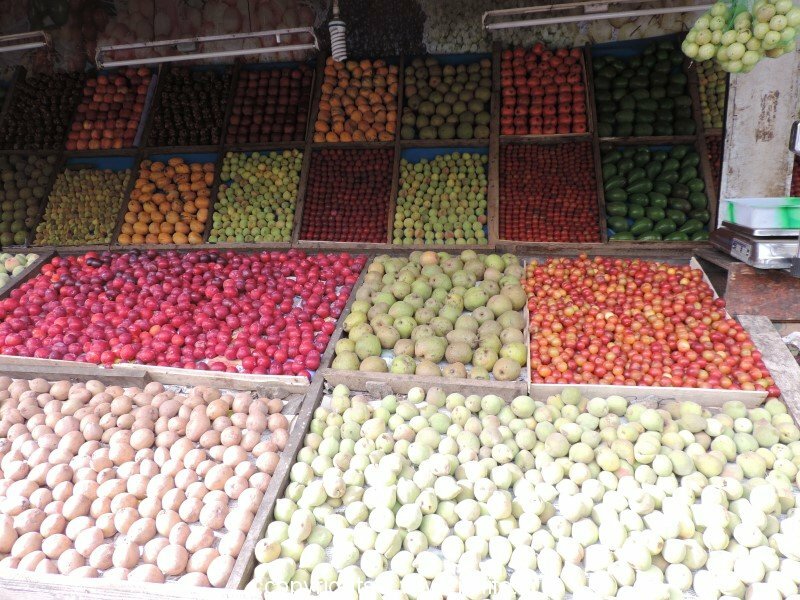 This year (2016), Shravana masa starts from 3rd August to 1st September. The Saturdays are 6th August, 13th August, 20th August, and 27th August. 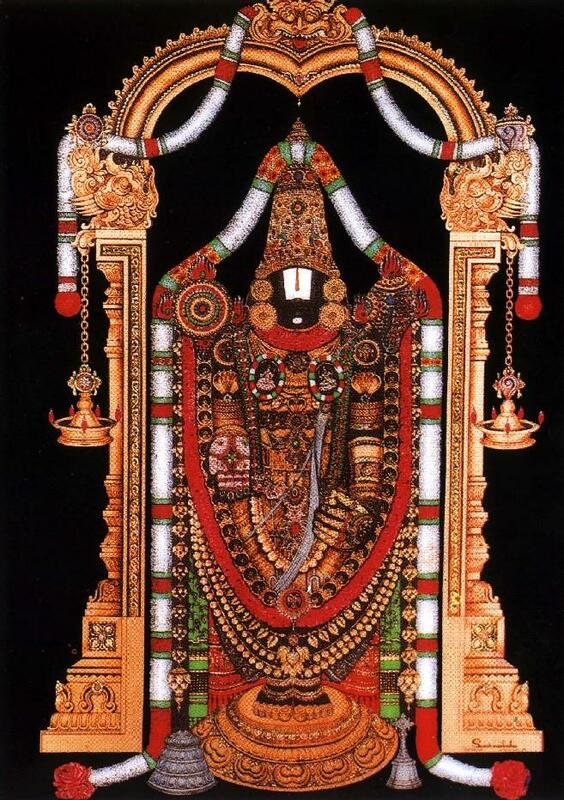 On this day Goddess Gowri / Parvathi and Lord Vishnu are worshipped. 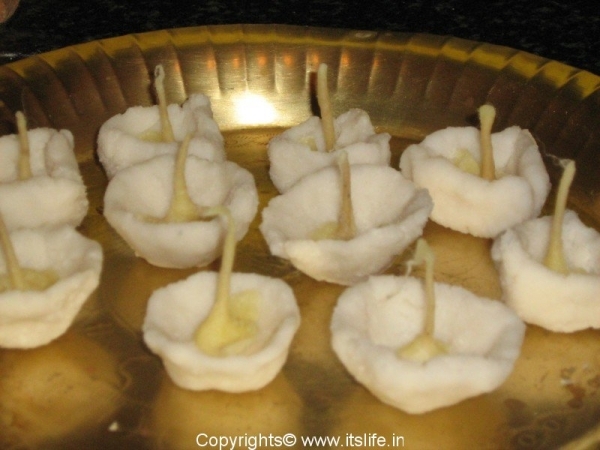 A special aarathi is prepared on this day using rice flour. Add rice powder to boiling water and make soft dough. Shape the dough into 5 sodlu / small round cups and 5 gulla / cups in triangle shape. 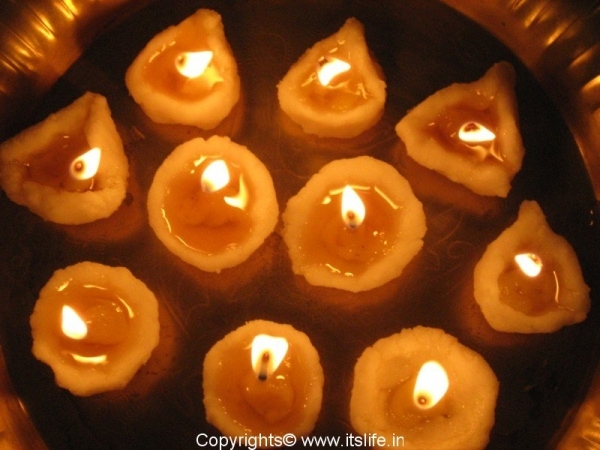 Fill them with Ghee and keep a wick and perform the aarathi. 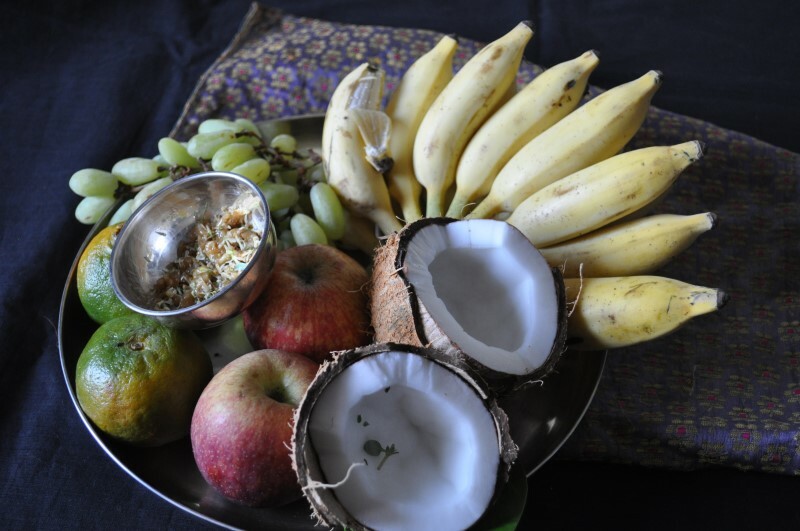 Panaka, Kosambari, Thambittu, Milk are offered as naivedya / blessed food. i like your pooja vidhi and all other imp things.pl email it to me. Did you mistake this blog for Meera’s blog? thx for uploading it is soo useful i did all pooja by the guidence of my m.inlaw for 20 yrs now this yr i am doing without her u have given very good inf this blog i can ask my would be dot inlaw to learn from ur blog thx a millon. Thank you, Vijayalakshmi for the feedback. I am glad this article has been helpful. Thanks for the note, Anuradha. Good to know how your Grandma used to perform the pooja.